“Mama, 59 years old and the oldest chimpanzee and the matriarch of the famous chimpanzee colony of the Royal Burgers Zoo in Arnhem, the Netherlands, was gravely ill. Jan van Hooff (emeritus professor behavioural biology at Utrecht University and co-founder of the Burgers colony) who has known Mama since 1972, visited her in the week before she died of old age in April 2016. 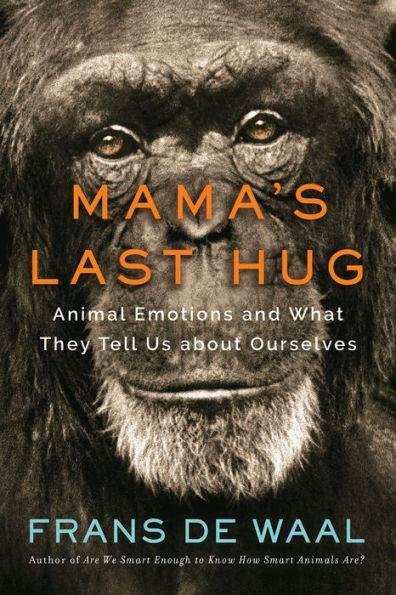 It took a while before she became aware of Jan’s presence.Her reaction was extremely emotional and heart-breaking.” Frans de Waal, author of Mama’s Last Hug: Animal Emotions and What They Tell us about Ourselves recently shared that this emotional response should not be a surprise to humans. He clarifies that we are all primates and share the same emotions. Mama’s last hug is a lesson in sharing our emotions. Frans De Waal reminds us to not be surprised by how we are connected to chimpanzees through the range of emotions we share. In addition, his insights are an invitation to not only examine how we share emotions with primates but how we share emotions with each other. How effectively do people share emotions in your workplace? home? community? Who is skillful at sharing emotions? How can those people skilled at sharing emotions support the growth and development of others? One way to explore how people can share emotions successfully is through the use of the Gallup Strengths Finder. The Gallup Strengths Finder assessment identifies and ranks the 34 themes for individuals. Each theme is a collection of talents. Some of these themes are highly linked to sharing emotions. One of the themes is titled Empathy. People who have Empathy as a strength often report having a 6th sense. They feel and sense the range of emotions in the room. People with the Empathy strength are comfortable with a wide range of emotions: sad, happy, frustrated, angry, fearful, and confused. They describe themselves as having an emotional radar or emotional magnet; picking up emotions from others all day long. Their talent is in appreciating, recognizing and helping others to share their emotions. I have known several leaders who upon review of their strength finder results have panicked. They see Empathy as a weakness. “My boss is going to think I”m touchy-feely”. “I won’t get a promotion if that is my top strength.” Slowly, through exploration, we shift that critical, judging lens to a recognition and celebration. Eventually, these leaders recognize the power and edge of this strength. They develop skills in recognizing the misuse of empathy. They see their deep value in an organization, family and community. 1. Do you feel you have a 6th sense that picks up emotions in a room? 2. Or, are you often blindsided or uncomfortable with conversations about emotions? 3. If you have this 6th sense, how could you use it to support your team? family? community? 4. If you don’t have the Empathy strength, who on your team does have it? How can you leverage this colleagues strength to help you better understand the emotions of your team? How can you work together to name, embrace and empower people to share their emotions. Curious if you have the Empathy theme? Let’s connect and get your strengths finder results.